The Nigerian Army has warned the public to beware of lunatics as Boko Haram insurgents now disguise as mad men and women to perpetrate their heinous activities. 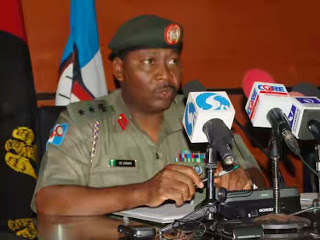 Army spokesman, Col. Sani Usman in a statement issued in Abuja on Monday warned that there was reliable information that remnants of the Boko Haram terrorists now disguise as mad men or women in order to gain access to some locations, especially in Maiduguri. “Consequently, all should be very wary of any seemingly mentally unstable or mad men or women found wandering and report same.